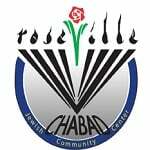 The Mitzvah Club - Chabad of Placer County, Where every Jew is Family! A Mitzvah. A Partnership. A Strong Community. WE CANNOT OFFER OUR SERVICES AND PROGRAMS TO OUR COMMUNITY WITHOUT YOUR HELP! Please consider becoming a partner in our work, by joining "THE MITZVAH CLUB" - a monthly giving program, in multiples of the mitzvot. As Jews, we are entrusted and commanded by Hashem with 613 mitzvot, we invite you to join us in the mission of making the mitzvot more easily accessible to our Jewish community, by joining the Mitzvah Club, and contributing multiples of $613, divided into monthly payments. To join "THE MITZVAH CLUB" is as easy as 1-2-3. 1) Simply choose the category of monthly giving you are comfortable with. $51, $102, $153. 2) Input your contact and credit card information, in the secure form below. 3) Click the submit button below, and await confirmation that your information has been received. Your credit card will be charged every month, for the amount you chose. As you notice the charge on your monthly statement, you will be glad to know, that it is only with your help, that hundreds of Jewish people in the Placer County community, are enjoying educational, social and cultural Jewish experiences. We commit to sending a quarterly financial report to you, so that you can always be aware of how your money is being spent. We always welcome your feedback and input. Thank you for helping us with our campaign! At Chabad there are no labels; we are all Just Jewish. Our sole mission is to educate, inspire, and help every Jew increase their level of Jewish knowledge, enthusiasm and commitment. Focusing on the inherent holiness of each and every Jew - regardless of affiliation, level of observance, or Judaic knowledge - Chabad welcomes everybody with complete love and acceptance. Our programs and services are catered for, and open to the entire Jewish community. We are a 501(c)(3) organization and donations are fully tax deductible. YES, I want to join "THE MITZVAH CLUB"! I understand that my credit card will be charged each month, for the amount indicated above.